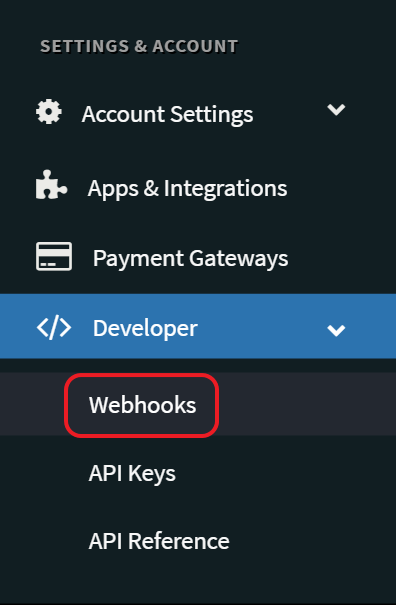 You can connect PayWhirl to thousands of existing 3rd party tools, apps and software systems using webhooks with services like Zapier or IFTTT (if this then that) to make the connections. 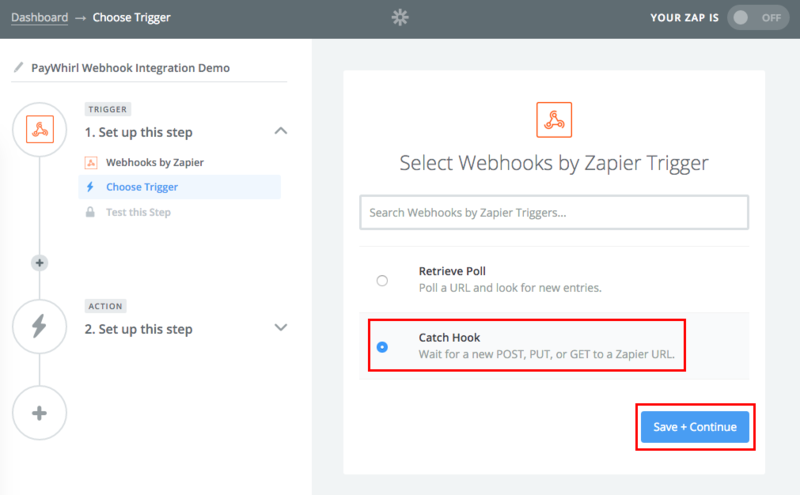 In this tutorial we will show you how to connect to Zapier, a leading service that makes it easy to connect web apps, so you can then pass data into their many existing integrations using our native webhooks. 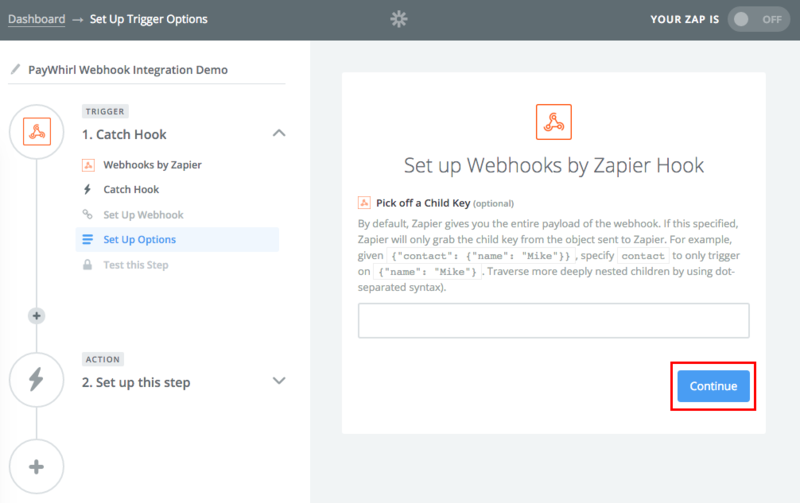 Then, skip the next setting for this tutorial to pass ALL information into Zapier. 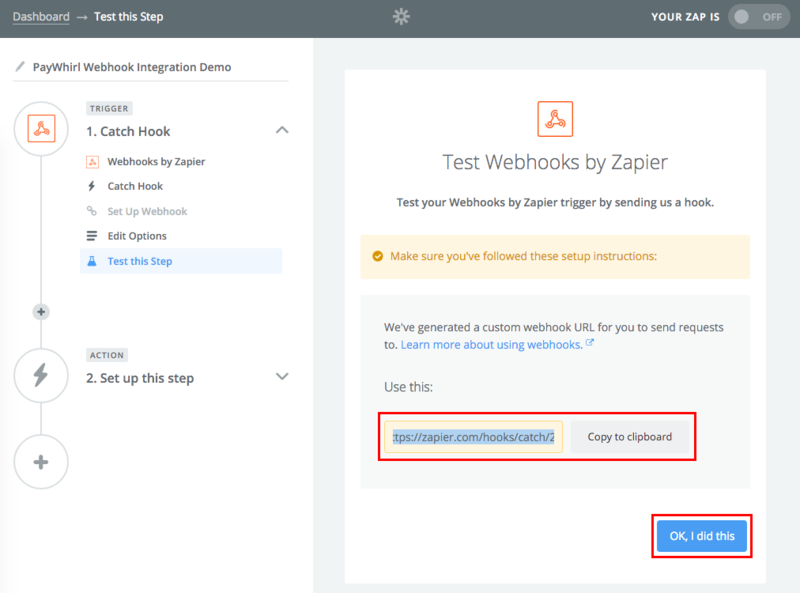 This setting helps you limit your webhook to only look at specific information which might be helpful for some integrations but we want to see ALL of the available data so we're leaving it blank. 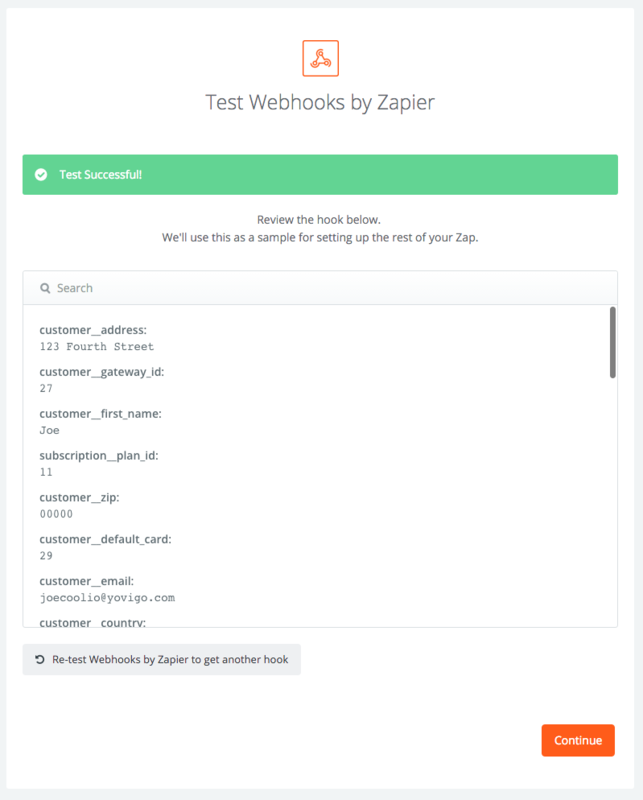 Next you can run a test charge using the PayWhirl test gateway to simulate a charge in your account and trigger a test webhook for zapier. You can enter any credit card you want with the PayWhirl test gateway to simulate a charge. At this point you are able to connect to the hundreds of existing apps and tools they offer. 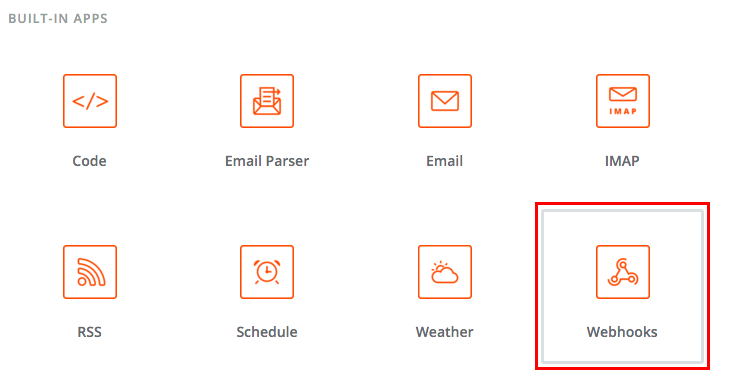 You can do things like generate emails, update spreadsheets, update quickbooks, or crm software like salesforce, or send text messages, and on and on. 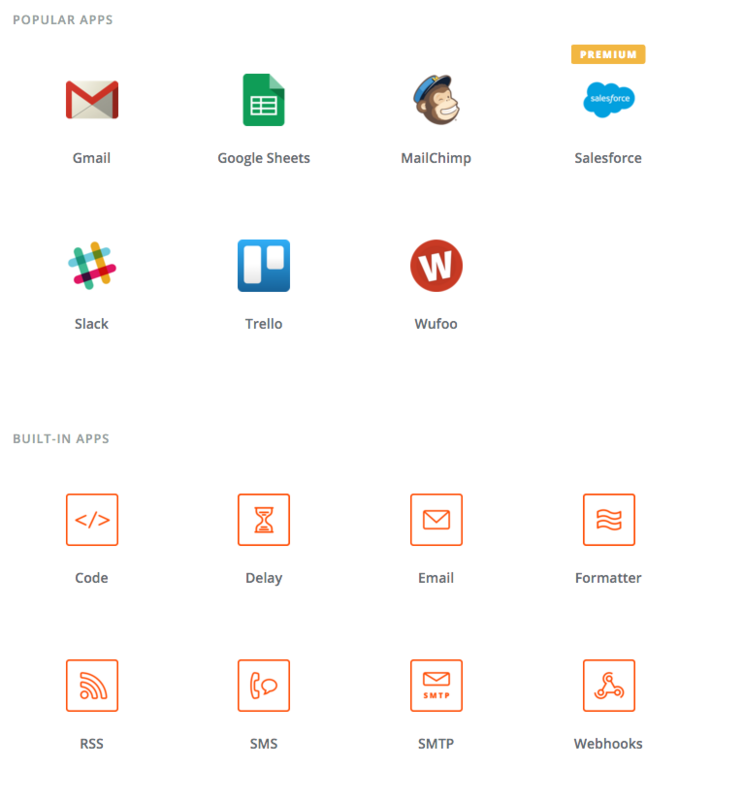 Checkout https://zapier.com/app/explore for the full list of available apps and integrations they support. They offer 100 "zaps" per month for free and 3000 zaps on their lowest plan for $19/month (at the time of writing this article). If you have any questions about custom or 3rd party integrations on PayWhirl please let us know.